With a retractable hard-top, a high-tech cockpit, the Superfly GT-42 is truly a boat to marvel at. I mean, seriously…just look at it. It’s like the Ferrari of the ocean! The latest addition to Flying Flipper’s already glowing resume, the Superfly has set to carve up the waves. 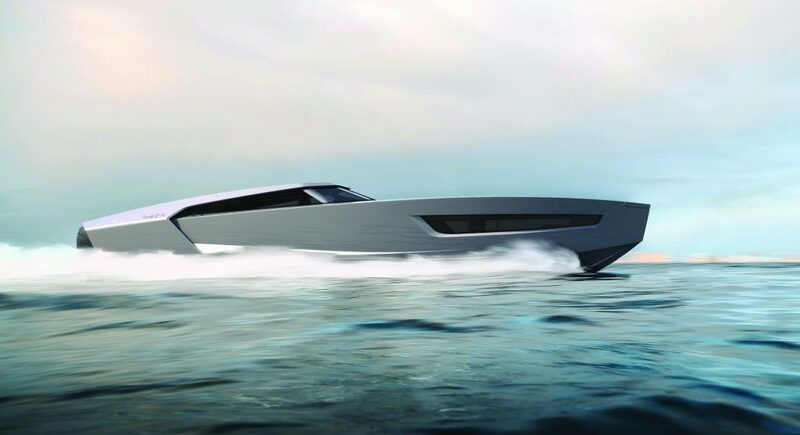 During the Cannes Yachting Festival last year Flying Flipper, the Scandinavian-based boat designers released a plan to finally build a supercar of the sea, the GT-42 (GT stands for Grand Turismo Open, by the way). After 40 years of experience, it seems that Flying Flipper has certainly hit the nail on the head! This GT-boat is still a concept boat and will be designed with a carbon fibre allowing minimum weight with maximum strength. 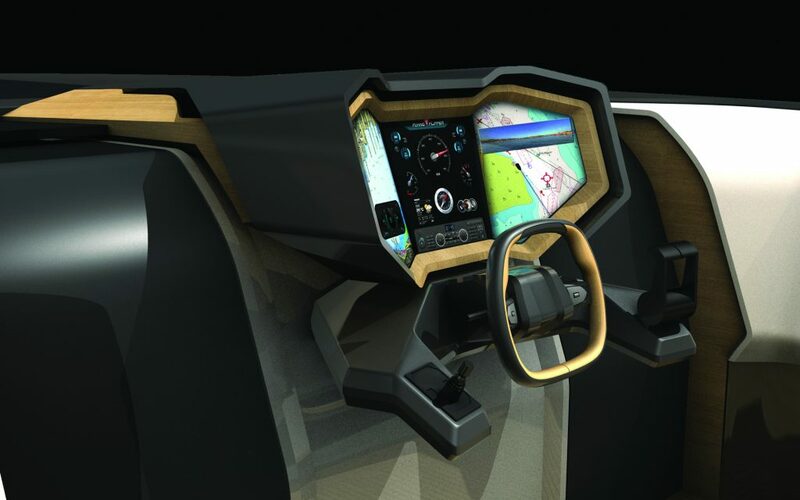 I think that by conceptualizing such an awesome boat – with all the nooks and crannies it features – it’s designed to have outstanding driving technology. With inboard stern drive the vessel will reach a top speed of 92 kph with two gasoline engines from Volvo or Mercury, each delivering 430 hp for a top speed of 50 knots. The alternative engine installation is a pair of Volvo or Mercury diesel engines. The boat is going to be a 13.09m and will have a 900 litre fuel tank capacity. To house the power behind will be slick-looking silver-design and aerodynamic features. Just like Flying Flipper’s debut boat, Flying Flipper 30 (released in the 80’s), the boat has a very attractive 28 degree nose that helps the boat glide in the water. The design of the concept boat was put together by Turkish yacht studio, Red Yacht. For a superboat, the Superfly is definitely one to watch out for! Sharp lines in the outskirts of the exterior sharply blend with the interior which is designed to be quite small, but also quite big at the same time. Air grills are specially designed to resemble organic counterparts and feature special lighting systems inside. 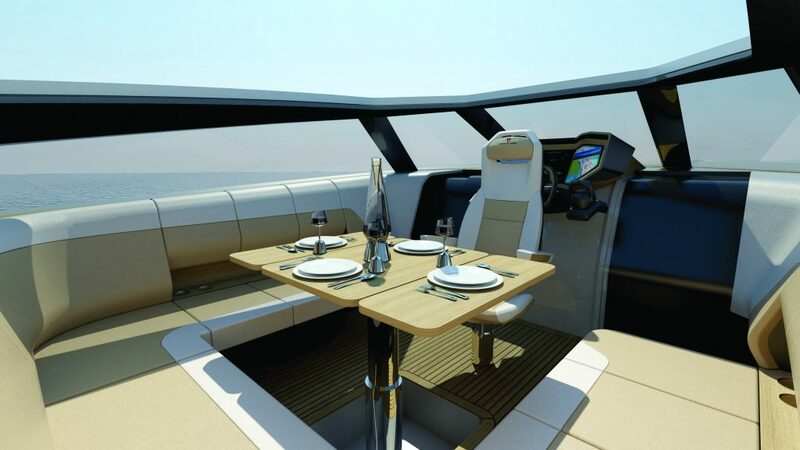 The interior of the boat – also known as ‘the saloon’ – contains a spacious living area, a full sized high-tech kitchen, with carbon fibre counter top and dinner table. The boat offers a roomy and bright bathroom. In the forward cabin, there is a king size bed and lots of storage. Though this boat design has been a concept since 2012, plans for making its parts are slowly coming into fruition and there’s a plan for this boat to hit our shores within the next year. Exciting times for boat-lovers.